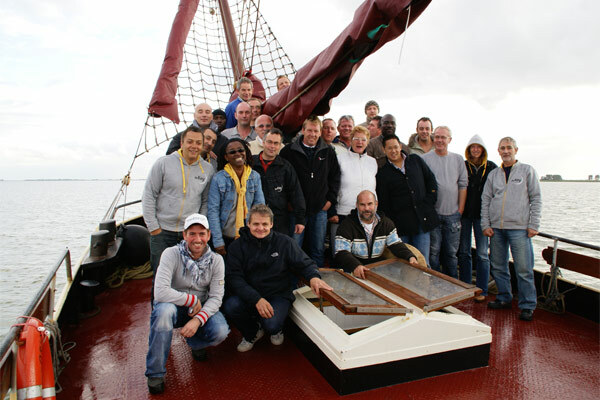 A lovely day’s sailing with your co-workers or business relations is the perfect idea for a company outing. Sailing in the fresh sea breeze aboard the Orion makes the tension of the worklfloor drop away, and gives you the perfecct environment to get to know everybody better. Whether you want to go for some active sailing or for calmly bobbing along; Egasail will make your staff party or company outing a success. Team outing or staff party? Company outings can be booked for every day of the week at Egasail. 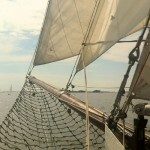 You can choose from sailing for part of the day, the whole day or even several days. We can accommodate you for practically any event. When asking for a quotation, don’t forget to ask for our optional business extras, like our all-inclusive catering for your staff party or corporate event. The Orion casts off from her homeport Monnickendam, setting sail for the Ijsselmeer. 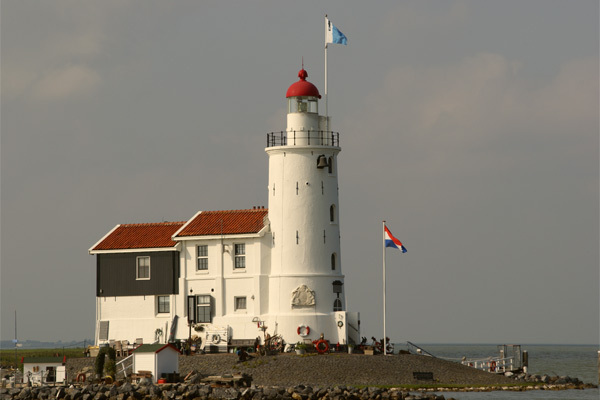 There are plenty of other towns nearby to visit, such as Edam, Volendam, Marken, Uitdam, Hoorn, Pampus, or the De Blocq Van Kuffeler pumping station. 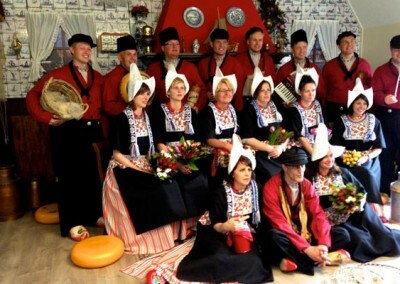 There’s plenty to see in these historical harbour towns; how about guided tour through Monnickendam or Marken, or your picture taken in folk costume in Volendam? 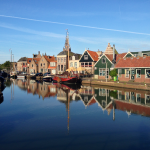 For the more culinary inclined we can also organise a wine tasting or cheese market visit in Edam, a fish smokehouse tour in Volendam, or we can drink and dine al fresco in Hoorn. 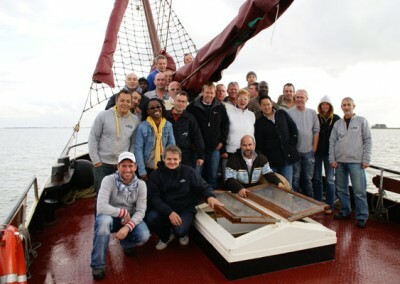 A sailing company outing is an experience that your colleagues will be talking about for a long time, and that will strengthen the relationships with your business contacts. 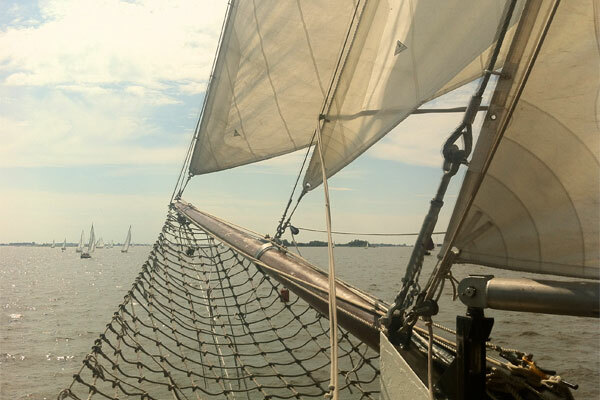 Below is an example of what our sailing company outings can look like. 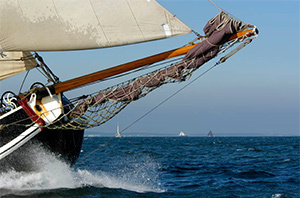 There are plenty of opportunities for the sailing enthusiasts among your co-workers or relations to help the crew. 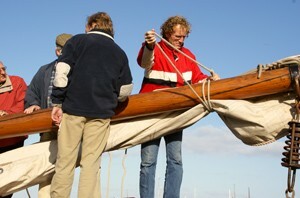 Experience is not required; we will teach you all you need to know about leeboards, stays, the helm and navigation. In the meantime, the more relaxed sailors can enjoy the fresh sea breeze and the beautiful vistas, and have all their cobwebs blown away. If the weather is uncooperative there is our saloon, where everyone can withdraw to and enjoy a bite ands a drink. Safety is paramount at Egasail, so in strong winds we will shorten the sails, and in case of an oncoming storm we will continue by engine. We welcome everyone aboard the Orion with a nice hot cup of coffee or tea and some delicious traditional pastry. 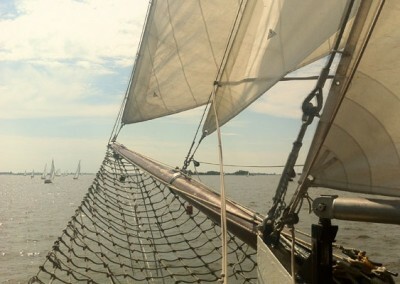 We cast off and hoist the sails. 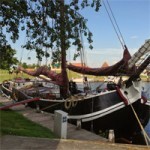 This is the start of our sailing trip to the Gouwzee and Markermeer, aboard the Orion. 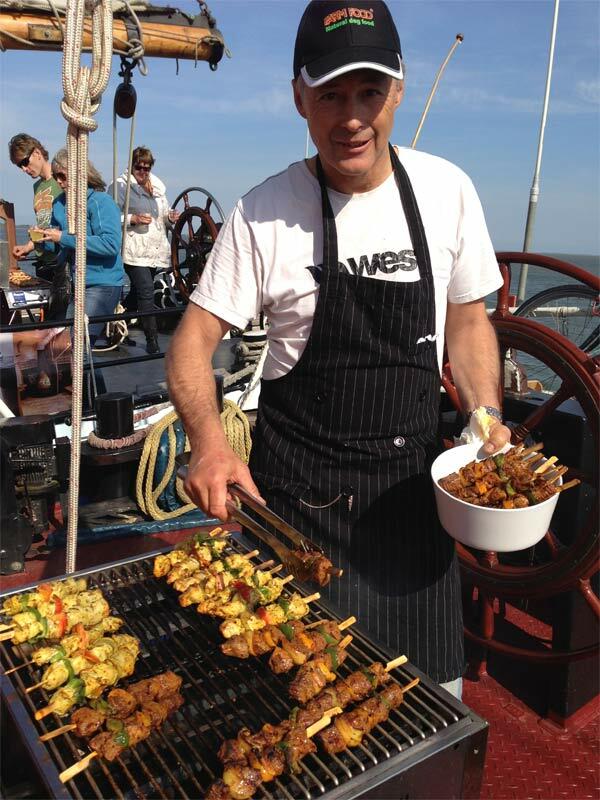 We serve lunch on board or in a nice harbour. 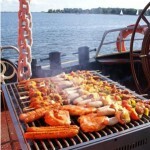 After that we’ll sail on and in the late afternoon we’ll start looking for a place to set up the barbecue. 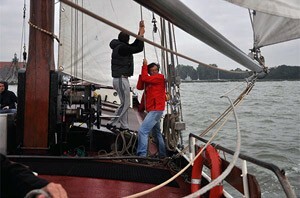 We arrive back in Monnickendam harbour, and this ends our sailing trip on the Ijsselmeer. An extension of one or more hours is also possible.